A big selling point for the iPhone 6, 6 Plus and Apple Watch is the fact they're Apple Pay enabled, allowing users to pay using their smart devices. Seamless integration like this isn't available on Android, the offerings are currently a little more fragmented - but that could change this year. NXP and Qualcomm have joined forces with the former's NFC technology being integrated into the latter's fleet of Snapdragon processors. The whole series of Snapdragon chips are getting the NXP treatment, from the flagship 800 range all the way down to the super budget 200 series - plus Qualcomm's chips for auto and IoE (Internet of Everything) will also benefit from this coalition. The new chips are available immediately, which means we should see devices including wearables and smartphones benefitting from secure transactions later this year. 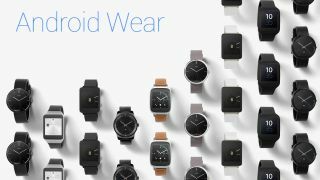 Most Android Wear smartwatches currently sport Snapdragon chips, as do many smartphones, which make any new products in these sectors ripe for the new technology. The new solution provides a more streamlined and secure way of paying using a wearable or smart device, but that's not all this collaboration is bringing to the table. NXP's NFC technology can be used to aid Wi-Fi and Bluetooth pairing as well as enabling media streaming - and built into Qualcomm's chipsets it could make this easier at home and in the car. For example a car may have several NFC points, allowing a passenger in the back to easily stream content from their smartphone to the monitor in the headrest in front of them by linking the two with the contactless tech, while the passenger next to them streams something different to another display.